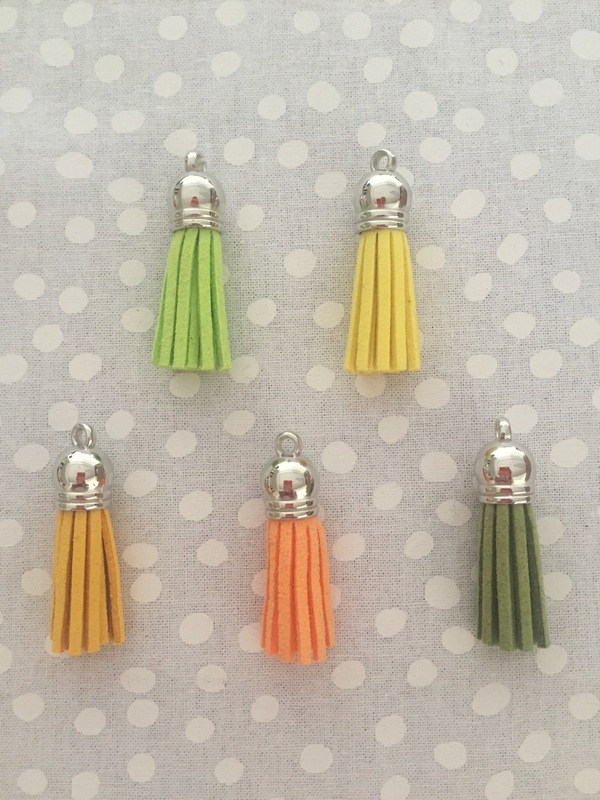 You’ll receive one each of a lime green, yellow, mustard, orange, and olive green tassel. Each tassel is 3.5cm (1.5″) and comes with a jump ring for easy attachment to zippers and hardware. AU$5 postage flat rate. 10-14 working days via China Post.